Kilwa district is located in Lindi Region in southern Tanzania, the total district area is 13, 347.50 square Kilometers (1,334,750 ha) of which 12, 125.9 square kilometers is surface land and 1,221.52 square kilometers is the ocean, to the north it borders with Rufiji district, Coast region, Lindi and Ruangwa districts in south, Liwale district in west and to the east it borders with Indian Ocean. In the last national census of 2012 Kilwa district had 190,744 people of which 91,661 were males and 99,083 were female. The economy of Kilwa district hinges on crop production, livestock keeping, fishing, trade and to a very limited extent on industrial activities. Like in most districts in Tanzania, Kilwa residents and their District Council draw a substantial amount of income and food from small holder cultivators. The most popular crops are cashew nuts, sesame and coconuts. Marginal contribution in council revenue comes from cashew nut, sesame and seaweed farming an activity that is attaining economic significance as the market grows. The average per capital income is estimated to Tshs: 850,000/= per year. Like in many other districts in the country, the social sector of Kilwa district is constituted of Land, education, health, water, and energy. There services in many cases fall short of the actual demand and are also unevenly distributed. 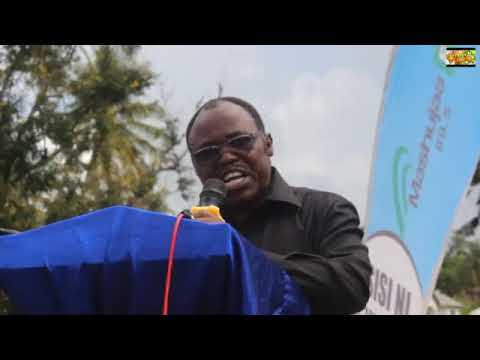 The imbalance in the distribution of services is attributed to uneven distribution of population, which is concentrated in the central and southern parts of the district, particularly in the wards surrounding Kilwa town. Kilwa District is an emerging economy with high growth potential. Whilst the economy is relatively diversified, a number of opportunities remain untapped in many sectors. In an attempt to make Kilwa the preferred destination for foreign direct investment, continuous improvements towards the creation of an enabling environment have been made. Investment opportunities existing in Kilwa District have been categorized in terms of Lead Sectors and Priority sectors. The Kilwa District Council is renowned to have excellent communication system such as tarmac road and ground road to most of its parts. This makes the investor move with ease along with resources. The Kilwa District Council is well connected by telecommunication and internet facilities in total there are 6 telecommunications networks namely Vodacom, Tigo, Zain, TTCL, Halotel and Zantel. Almost all parts of the District Council are reachable. Also there are internet cafés in Kilwa District. The Kilwa District Council has reliable rainfall in most parts which favors growth of annual, biannual and perennial and livestock. The variation in Topography contribute to a diversity of climates that range from mild hot lower zone and humid in upland zones. Reliable storage facilities and warehousing. This makes temporary storage of crops and commodities easy while waiting movement to expected destination. Reliable sources of clean water throughout the year set Kilwa District Council apart from most districts. This makes based investments or water demanding investment establishment such as irrigation attractive. Thus, investors from within Tanzania and all over the world are warmly Welcomed and encouraged to Invest in Kilwa District Council in Lindi Region. Kilwa District Council’s vision is to be a center of high quality service provider to its people. And its mission is to facilitate and coordinate maintenance of peace, order, and provision of high quality socio-economic services to its people sustainably in a participatory manner which are derived from participatory approach, democracy, good governance and rule of law and through the use of opportunities and proper use of available and future resources so as to improve the quality of the life and increased income by 2025. To achieve this aspiration, the Council is aiming at facilitating the utilization of investment resources so as to be able to generate revenues to finance services. In essence, the investments will create employment opportunities around invested areas. Therefore the investment profile document is prepared in order to inform all potential investors on the types, potential market and land available for investments in Kilwa District Council. However, Kilwa District has untapped natural resources offer a wide range of investment opportunities; arable land, minerals and natural tourist attractions are all awaiting potential investors. Kilwa District has abundance of wildlife attractions and unexploited mineral reserves. These sectors (Mining and Tourism) are the leading recipient of foreign investment flow and are tipped to become the “growth sectors” of the economy. There are other economic activities which are done in the District though in very low profile like fishing, forest, beekeeping, and livestock despite the possibilities for expansion. In the view of those few words I will like to invite potential investor to Kilwa District and we promise to give them all support.